Whats better then having a nice bowl of hot chili on Football night. This took only 20 minutes to prep and 1 hour to simmer. This chili is also known as the everything chili. – Fry gorund beef, drain. 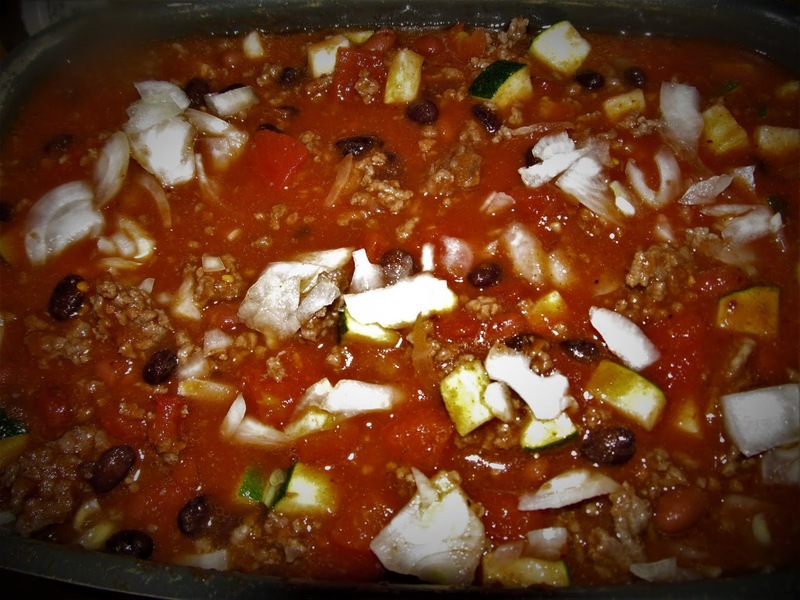 – In crock pot add all sauces and beans and veggies. – Allow to boil for 20 minutes, then simmer for 1 hour. – Once your ready to serve, place in soup bowls with a tsp of sour cream and cheddar cheese. – Oyster crackers go very well with the chili. It was so good there weren’t any left overs. I am going to try your recipe for chili. Thanks for sharing it. Let me know what you think. I will be making it again this coming Sunday.